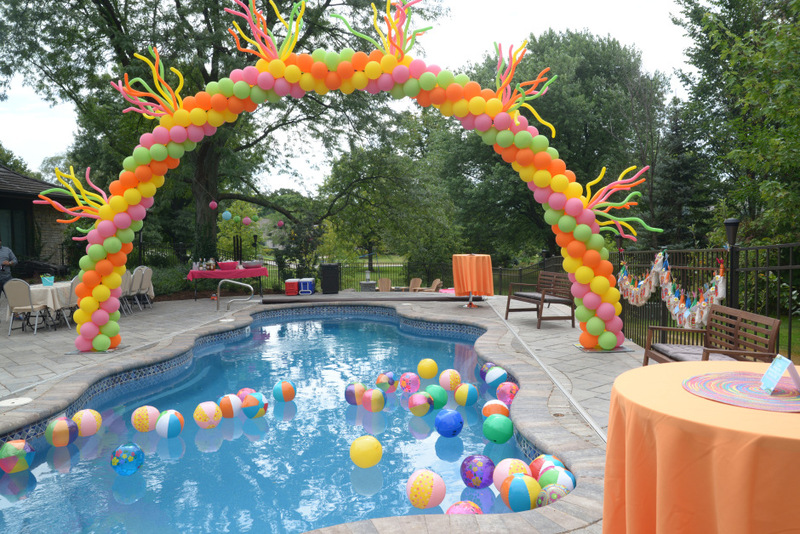 From the easy to the extravagant, the options for decorating a summer birthday party are endless. When the weather is good, there’s no beating an outside event to enjoy the long evenings and balmy temperatures. Whether it’s your garden, the park or even the outdoor area at your favorite restaurant, there’s no shortage of venues at which to hold your party. With the date set, the weather forecast looking good and your friends invited, the only thing left to do is decorate! Choosing a theme or tone for your party should be your first concern as this will help instruct the kind of decorations you choose. You can keep it demure and mature or channel your inner kid and go wild. No matter which option you choose, there are a number of low-cost and easy ways to create the precise atmosphere you want with minimal fuss. Read on to discover more about ten of our favorite decorating ideas that will give your party’s look a high impact. 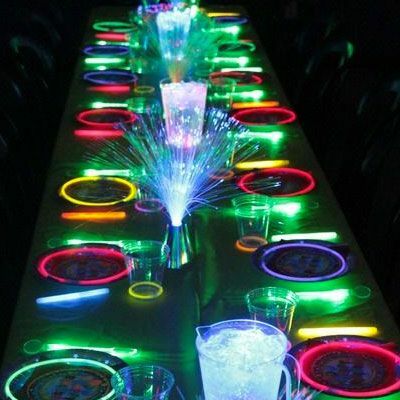 Fairly lights are every party host’s best friend. Hang them in the trees, paperclip them to the hem of your table cloths, or stuff short strings of them into jars for a quirky take on table lighting. The soft, warm light they offer is perfect for summer evenings and the various range of hues available ensure they will always match your color scheme. Paper or cardboard tableware is perfect at outdoor parties because of the risk of breakage, however, this doesn’t mean it can still be made a little special. Use non-toxic ink to stamp names, images or patterns onto paper plates or splash out on a set of printed and personalized paper cups. Parties are all about bringing the weird and wonderful to life, and what could be better than making your drinks glow vibrantly? LED ice cubes are fantastic because they can be turned on or off to save battery and are reusable; find them cheaply at numerous online stores. Alternatively, have a go at making some yourself! Keep costs down and instead of buying fancy table coverings simply use plain white paper. Buy a couple of packs of colored crayons and leave them out on the table for people to draw with. 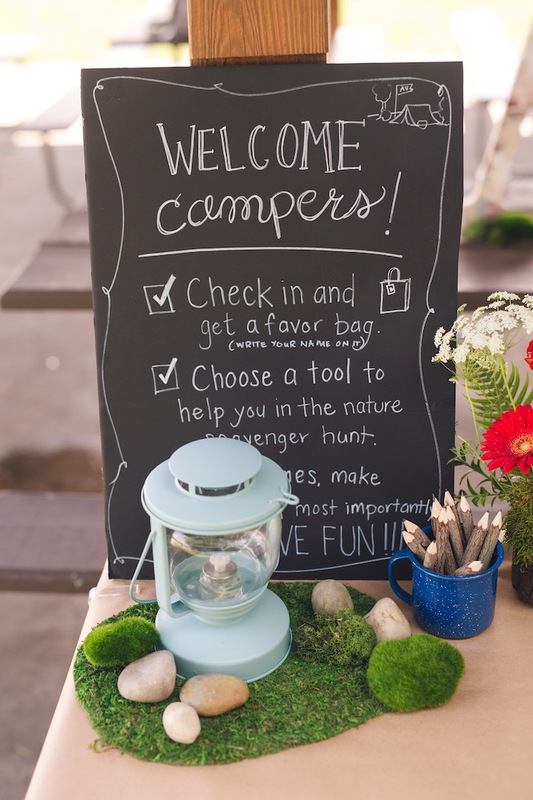 This way guests can draw pictures and make a design themselves or write birthday messages you can keep forever! This option is also a sure winner with kids. Sometimes it really does help to have a sign do the talking for you. Offering help with directions on where to find you, information about what the food and drink is and any dietary notes people make want to know – signage makes everyone’s life a little bit easier. Rather than simply printing something off on your computer, why not use a chalk board? This way people can add little drawings or annotations and you can easily change the information on it should you need to. No party is complete without bunting! Use leftover old colorful party napkins strung up on a string or go all-out and sew your own design together using grosgrain ribbon. The most important thing about any bunting is that it has the delightfully jaunty pointed edges and is available in ample quantities.